Indirect evaporative cooling in air conditioning systems is one way of generating regenerative cooling capacity. The evaporation heat needed for the phase change of water is removed from the air and causes the desired cooling. 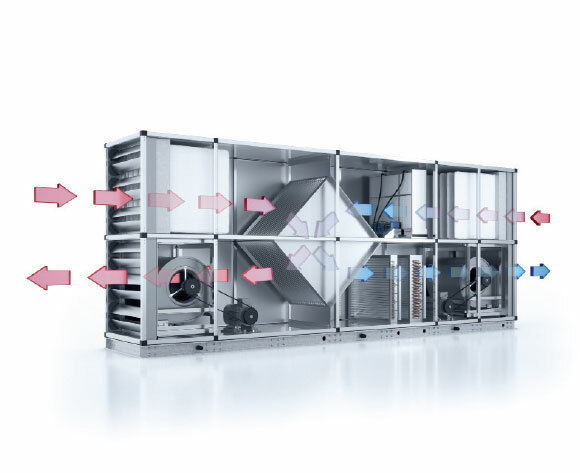 The cooling effect achieved in the output air is transferred to the input air. Conventional cooling machines and cooling batteries can therefore be designed to be significantly smaller and more costeffective. 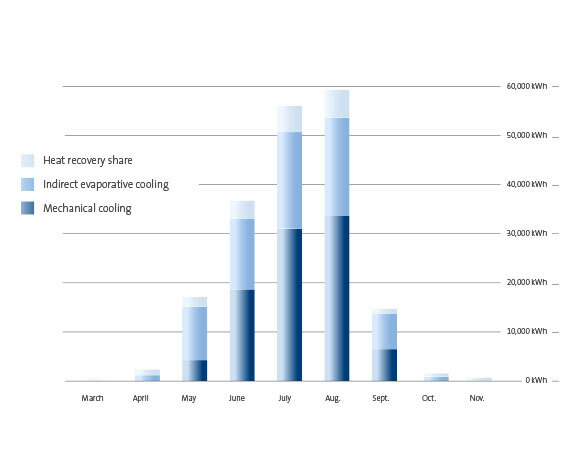 In addition to this, the ongoing operating costs for building cooling are reduced significantly. If the evaporative cooler is not needed for an extended period of time (e.g. 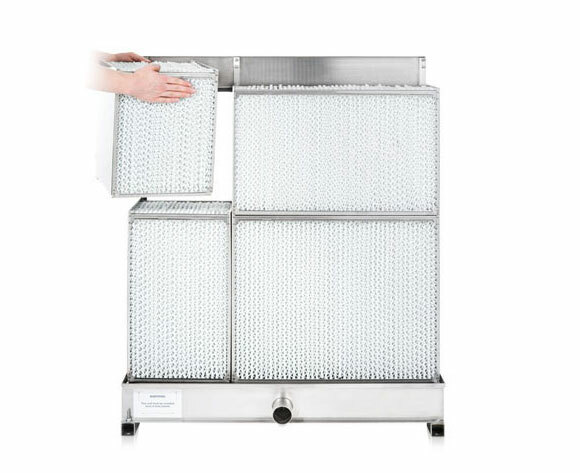 during the heating season), the carrier media can be removed and air resistance eliminated.